A 10% deposit is required to secure the booking plus a security bond of £150. We also require booking for to be completed on booking. The balance of holiday is payable by 8 weeks before start date of holiday. Please provide number of guests together with gender and age. 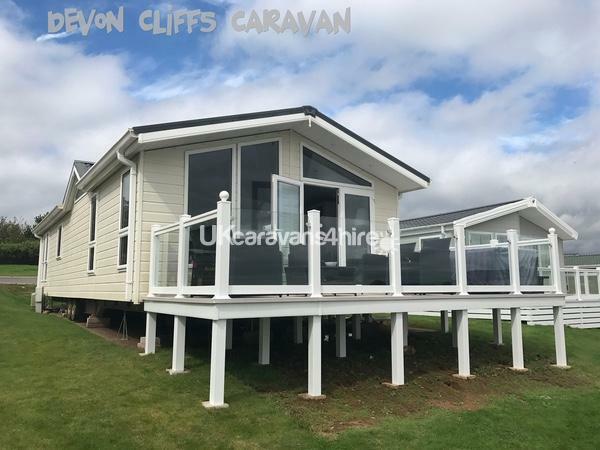 Our holiday home is an impressive 40ft x 16ft Willerby New Hampshire Lodge in a premium location. 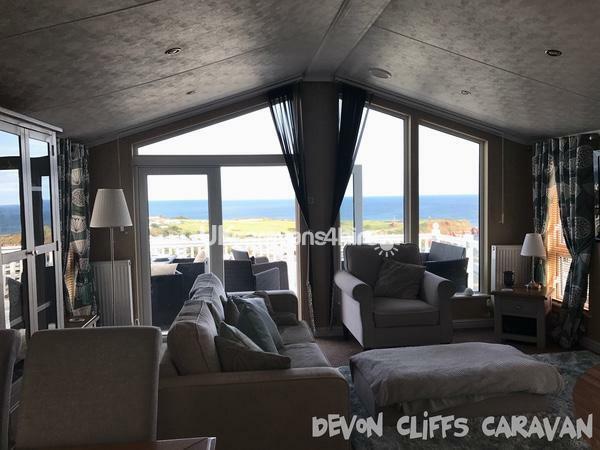 It enjoys its own private decked veranda, which takes advantage of the stunning panoramic coastal and sea views. 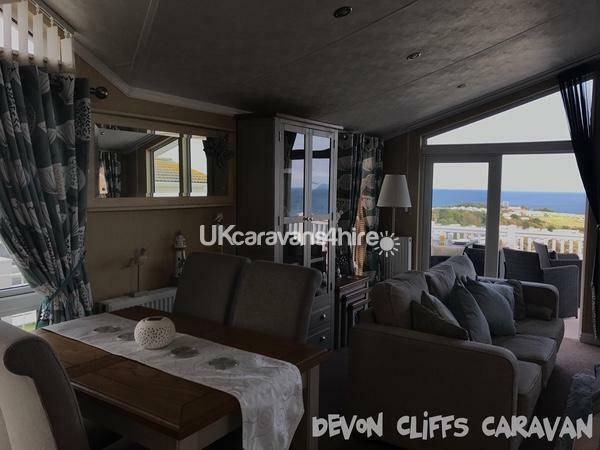 These views can be comfortably admired whilst relaxing on the outside furniture and enjoying 'al fresco dining'. Our premium plot is located on the stunning Kestrel Way which boasts panoramic coastal and sea views. We are also only a few minutes walk from the main complex, which allows easy access to all amenities, including shops, bars and the funworks complex. Our centrally heated Lodge sleeps a maximum of 6 people with 3 bedrooms; king size width bed in master bedroom and 2 additional twin bedrooms. The twin rooms have the ability to be made from 2 single beds into doubles or just with 1 single bed, so giving plenty of flexibility. 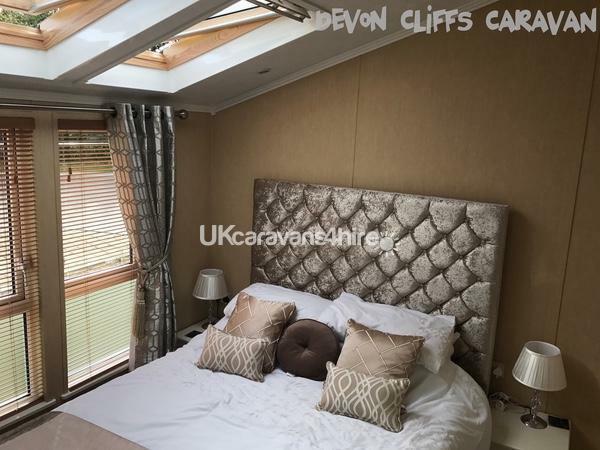 The master bedroom has fitted wardrobes and benefits having en-suite shower, basin and toilet. All bedrooms are fitted with wall mounted TVs. 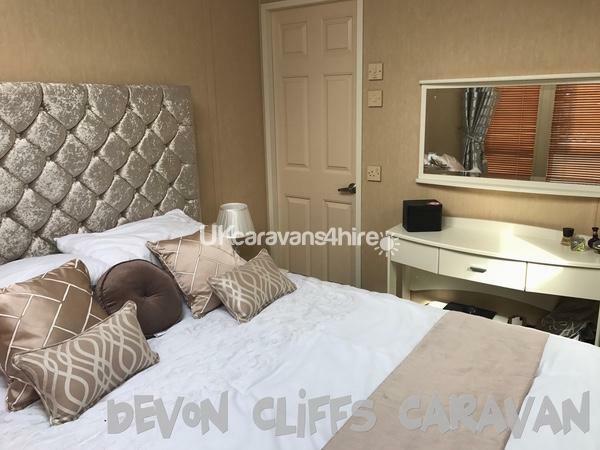 There are home comforts within the caravan, such as an electric glow effect fire and a 50" wall mounted TV. Sound bar. Digital recording Freeplay box with on demand. DVD player. There is also Wi-Fi within our holiday home. All of which will maximise the comfort of your stay. Our lodge has a stunning bright fully equipped kitchen. 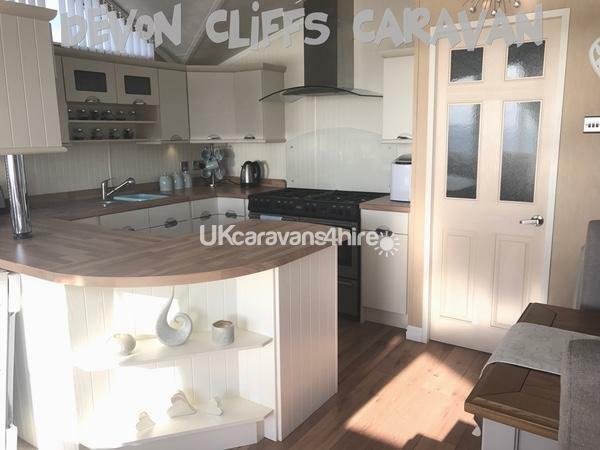 We have washing machine/tumble drier, microwave and a range cooker with 2 ovens and a separate grill along with 8 ring gas hob. 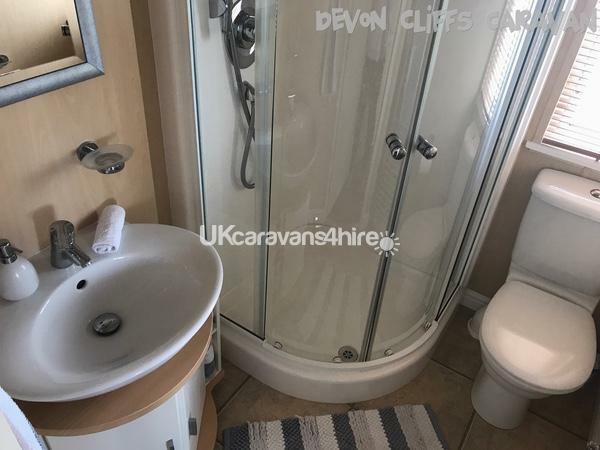 There is a beautiful family bathroom comprising shower, toilet and countertop sink. 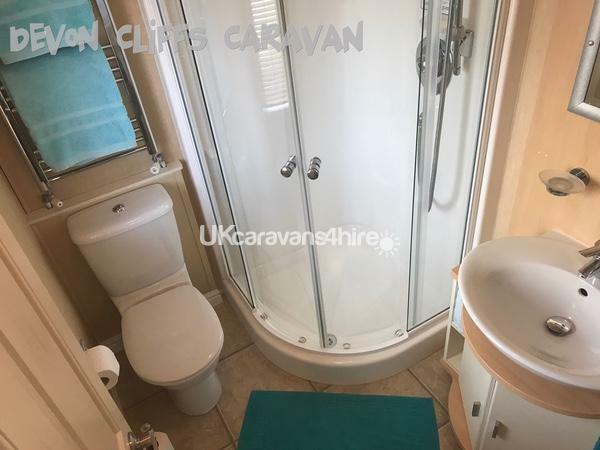 As well as the family bathroom there is an en-suite shower room to the master bedroom. All pillows and duvets are provided and beds are made up for arrival. However, you will need to bring your own towels and tea towels. 1. A minimum deposit of 10% or £150 deposit (whichever is the greater) is required to secure your booking. If for any reason the booking is cancelled this is non refundable. The requested dates will be reserved for a period of 48 hours only, after which time the booking will automatically cancel if we have no further contact from you. Your booking will not be secured until the 10% deposit/full cost is paid. 2. A security deposit of £150 is required to cover the event of any damages. This security bond is required together with the booking deposit and is fully refundable after your stay, assuming no damage etc. 3. You are required to report any damages to us during your stay. Please note that our primary concern is to ensure we can repair or replace items for you or subsequent guests if required. Charges for damage will be handled at our discretion. 4. The balance of your holiday must be paid in full 8 weeks before your holiday or at the time of booking if this is less than 8 weeks before. If the balance is not paid within the agreed time, your booking will be cancelled. No refund of any monies paid will be made. The caravan will be re-let. We would recommend consideration of holiday insurance in case of cancellation for this eventuality. For all bookings made less than 8 weeks before arrival, the full payment will be required. 5. Check in on day of arrival is no earlier than 3pm and you must check out no later than 10am on your departure day. 6. 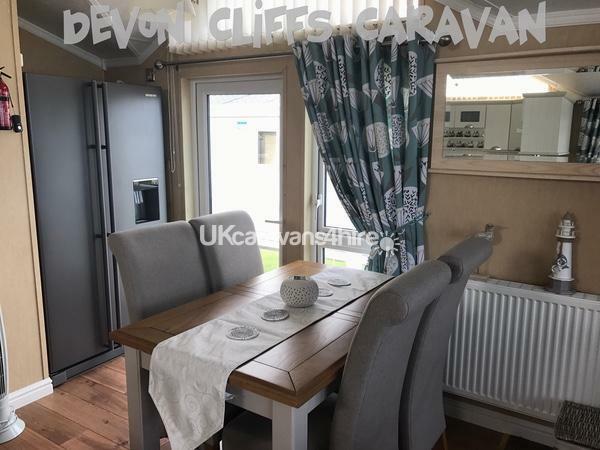 Only persons detailed on the booking form are permitted to stay in our caravan. 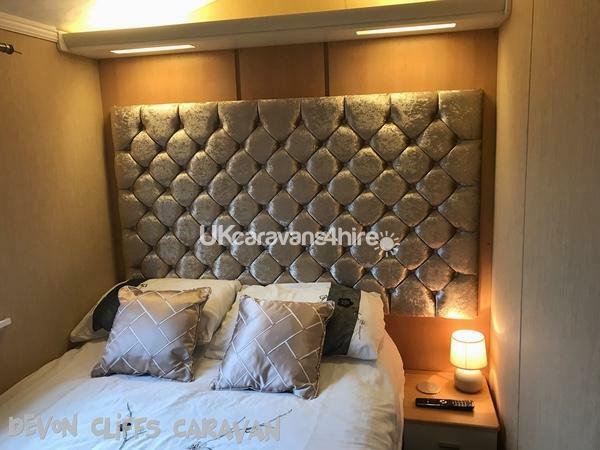 Any alterations to the booking details must be approved in advance. This is for insurance and fire regulations. The primary booker has to remain at the caravan throughout the let - The primary will also be liable for any damages or losses etc and our contact would be direct with him/her and not the remaining persons in the party. 7. The Holiday Park Rules are to be observed at all times – copies are available from Reception. 8. As this is a family friendly venue, the park rules state that all female or male groups under the age of 25 years are not allowed. 9. Sorry, but no pets allowed. 11. All pillows and duvets are provided, however you will need to bring your own bed linen, towels and tea towels. 12. 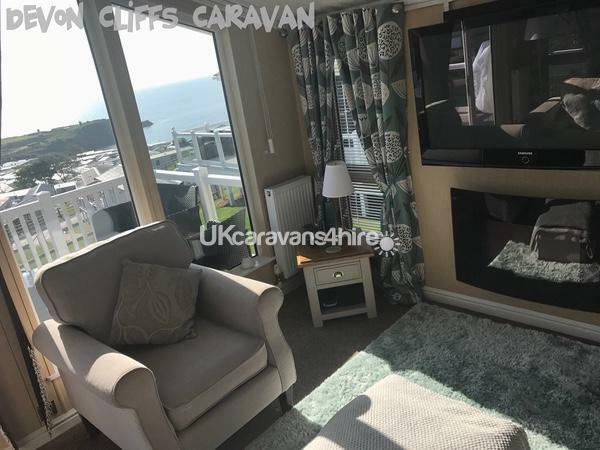 Entertainment passes are not included in the price of the caravan hire, but may be purchased from Haven's Reception. No reviews found. 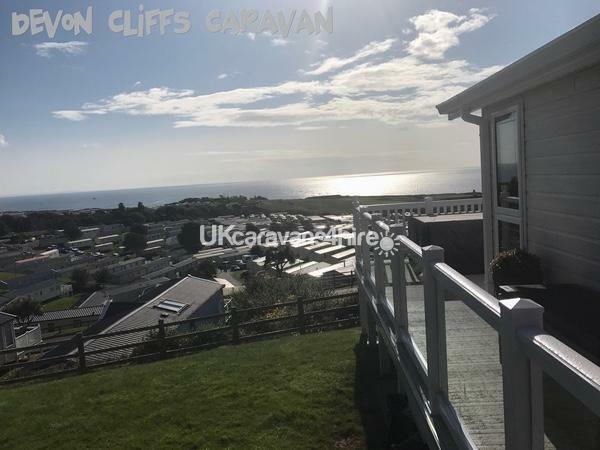 If you have recently stayed in this holiday home please leave a review, it only takes a few moments and will really help future guests when they are searching for holiday accommodation at Devon Cliffs Caravan Park.